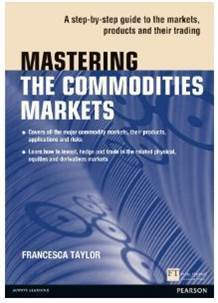 Mastering the Commodities Markets is an introduction to both the general commodity markets and to specific products: precious metals, oil and other hydrocarbons, rare earth elements, aqua and agriculture, alternative energy and carbon and environmental commodities. Beginning with the basics of commodities and how they have developed as an asset class in their own right, the book then introduces key commodities chapter by chapter, looking at the background and context of each product, their origins and manufacture, key market participants, pricing structures and patterns, risks and how to trade, hedge and use indices. Commodities such as oil and gas, food and water, solar and wind power, metals and minerals, animals and fish have become a genuine asset class alongside bonds, equities, and foreign exchange.